DUTY PERSONAL-DUAL LIGHT | Pro Chem, Inc. 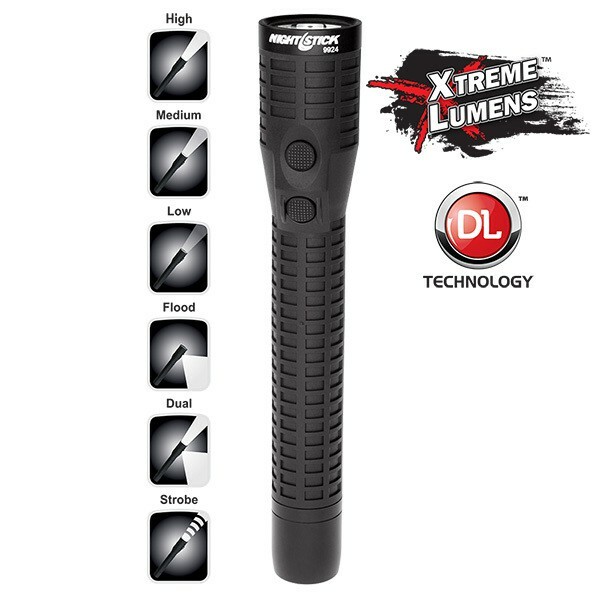 This DUTY PERSONAL-DUAL LIGHT uses CREE LED rated at 650 lumens that works with a high-efficiency, deep parabolic reflector to create a usable beam rated at 275 meters. 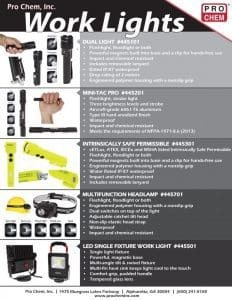 It can be used as a flashlight or floodlight, depending on what your needs are and also has a strobe function. The body and tail switches provide momentary or constant-on functionality and a set of user-selectable high, medium or low brightness settings. It also has a disorienting strobe setting. This light also has a powerful magnet built into the tail cap for hands-free usage.